A computer kiosk is a display that is a stand-alone PC containing an integrated housing unit locked inside. This system consists of a computer monitor and a keyboard along with a pointing device if not a touch screen. The kiosk manufacturer designs these electronic kiosks which are independent and self-service units. Today, such kiosks are largely available in the government and commercial sector because of their user-friendly and interactive nature. There are several master companies in Delhi who specialize in computer kiosk manufacturing and are master suppliers as well. Computerized kiosks store a lot of data in them and are able to retrieve it from any network. Few of them provide free or informational public service and others uses commercial background. There are many types of digital kiosks available with manufacturers such as touch screens, computer keyboards, trackballs and many others. A strange part is that the user does not know anything about the computers or any of the applications running on it. Best is to design such a highly intuitive kiosk with all computer applications. The market for computer kiosks is expanding on a large-scale as public is embracing the self-service concepts more. 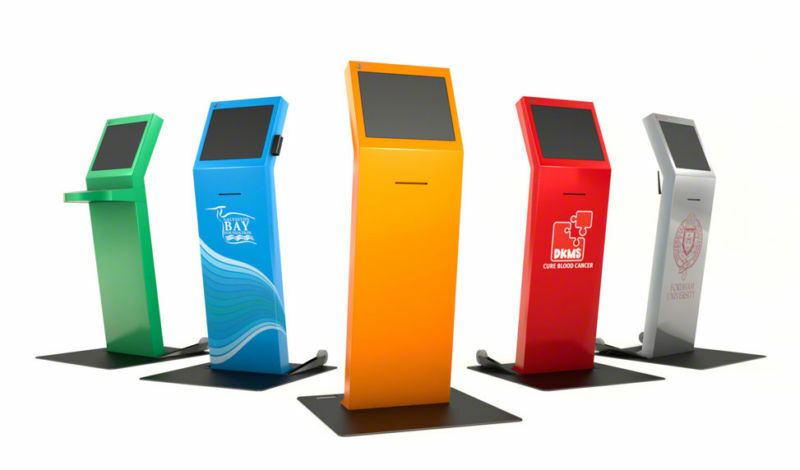 With advancement in technology the older versions replaces the latest designed kiosk systems. Best way to consider the kiosks is during any corporate events, promotional activities, product launches or industrial meetings etc. At product launch events with video demonstrations. For market surveys for the event. Booth locator for trade shows. Mapping systems including hot spots. A computer kiosk benefits in many ways such as they save money by lowering staff for manual processes, in welcoming the attendees at an event, initiating green revolution by keeping paper work aside and increasing revenues with the help of advertisement. Companies mainly rent a kiosk for their events. This makes the company workers more responsible first in setting up and later collecting the kiosk once event is over from the particular place. The role of company gets matchless in helping the client to choose the right kiosk provided with variety of configurations. Gathering an experience among such high-tech metal boxes invented to ease the burden of many is a new gadget which has created wonders in the field of branding and advertisements. What are you waiting for; just contact the dealer and get your best suited computer kiosk ready at the site of event.